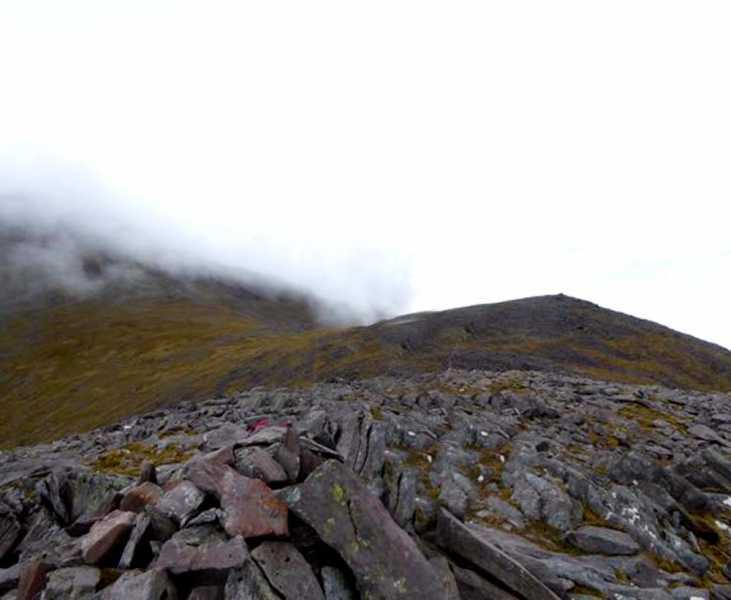 Picture from group : Summit with West top visible 400M away. Picture: Summit with West top visible 400M away. A rocky twin top with Knockbrinnea (W), this nice vantage point provides fantastic views north and north east over a wide agricultural hinterland. It is an also excellent vantage point for views into the Hag's Glen. It is easily reached along a sloping ridge from the handy car-park at Lisleibane V82714 87307 A.